Dr. Steinberg, chairman of Jacksonville Orthopaedics Institute (JOI), discusses game changing ActivArmorTM with First Coast Living, a leading television news magazine in the Jacksonville, FL area. Dr. Steinberg discusses how this amazing, waterproof, breathable, 3D printed product helps to change the game for casting and splinting options. 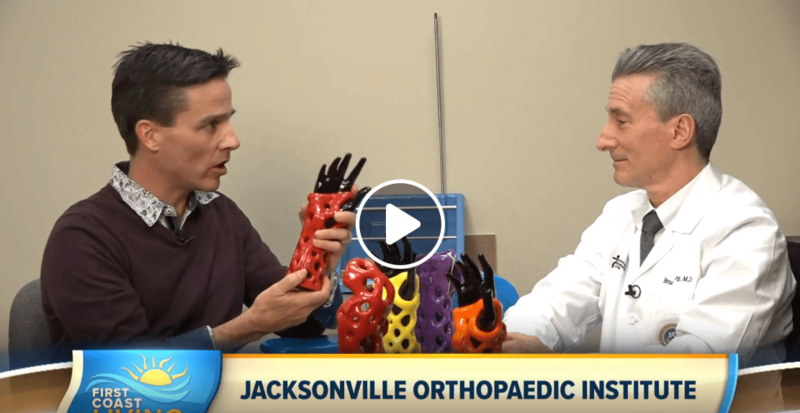 Jacksonville Orthopaedics Institute and ActivArmor are super excited to be working together, to offer this revolutionary 3D printed, waterproof cast, that is both breathable and more hygienic, to the Jacksonville area.